Brig. 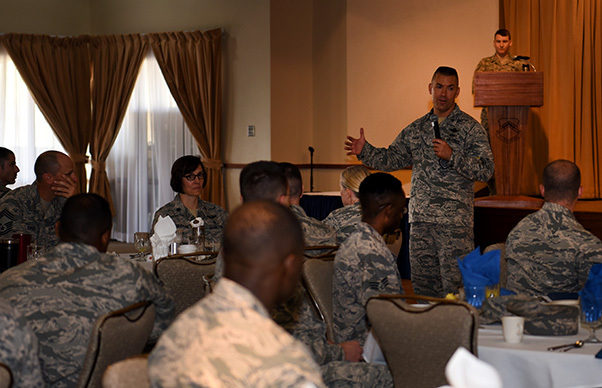 Gen. Brook Leonard, 56th Fighter Wing Commander, gives remarks after presenting Luke’s graduating honor guardsmen with an Air Force Achievement medal June 13, 2018 at Luke Air Force Base, Ariz. The ceremony was the culmination of the honor guardsmen’s one-year service to Luke’s Honor Guard program. 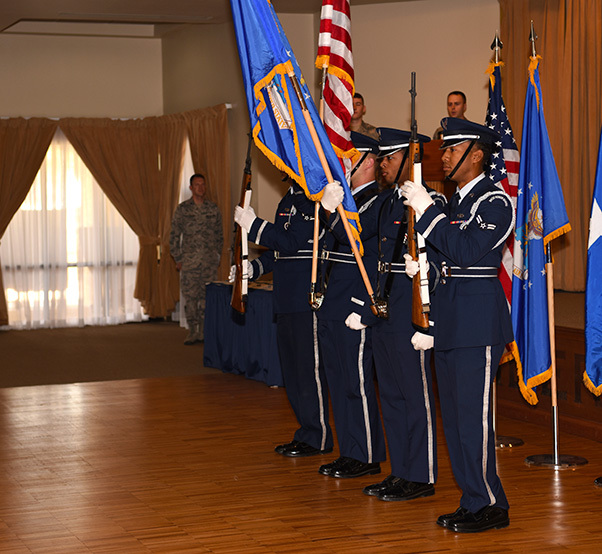 Luke’s Honor Guard presents the colors at an achievement medal ceremony June 13, 2018 at Luke Air Force Base, Ariz. The honor guard is comprised of volunteer Airmen from units across the base. Brig. 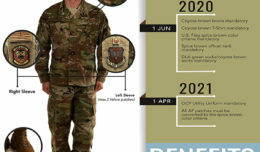 Gen. Brook Leonard, 56th fighter Wing Commander, and Command Chief Master Sgt. 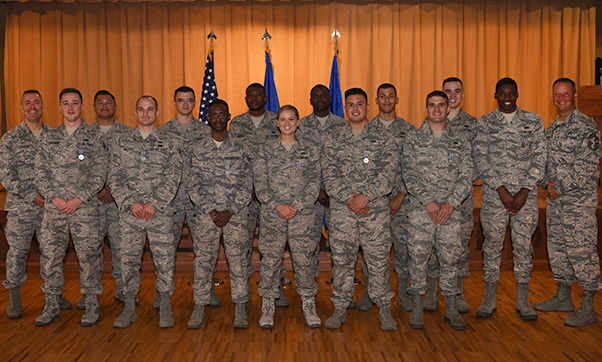 Randy Kwiatkowski, 56th Fighter Wing Command Chief, stand with achievement medal recipients June 13, 2018 at Luke Air Force Base, Ariz. The awarded are Luke’s Honor Guard graduates who have successfully served their one-year commitment.